MIT researchers have developed affordable nanoscale shrinking tech, but you still won’t get an Ant-Man suit. Here’s why. For a while now, popular culture has started depicting shrinking technology on screen. We’re talking about technology to shrink objects and even people in some instances. Some examples include Honey, I Shrunk the Kids, Fantastic Voyage, and the more recent Ant Man movies. In most of these cases, there’s some fictional explanation for the science behind all of it. 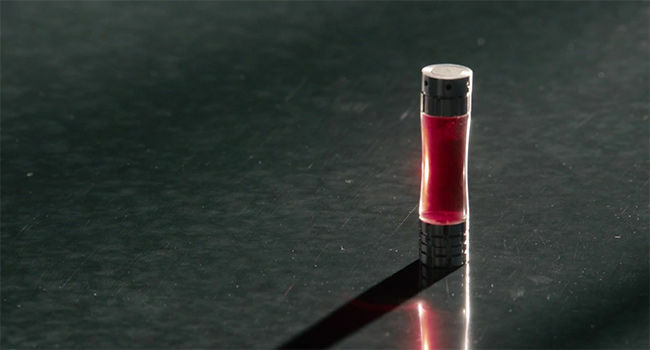 For instance, in Ant Man’s case, Dr Hank Pym discovers ‘Pym particles’ which allow him to develop technology that can shrink or enlarge things almost indefinitely. While it doesn’t need to be explained that it’s pretty much impossible to have that level of control over your mass and volume, as it turns out, shrinking tech isn’t as fictional as you might think. No, we haven’t invented the Ant-Man suit or shrink rays yet. However, Massachusetts Institute of Technology researchers might have brought us as close to both as we possibly can be currently. 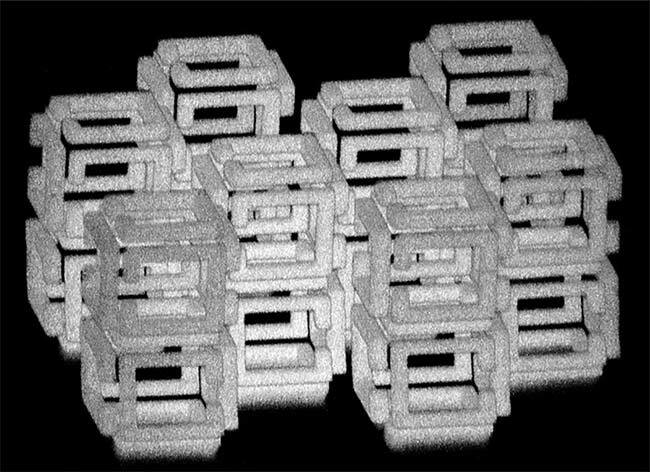 A team of researchers from MIT have invented a way to fabricate nanoscale 3-D objects of almost any shape. This object creation method can be augmented further since the researchers can also pattern the objects with materials like metals, quantum dots and DNA. Don’t think of this as shrinking an actual large object to a smaller size by pointing a ray or a device at it. This is a fabrication process that allows the fabrication to occur at the nanoscale in three dimensions using any kind of material. In this new technique, researchers can create a nano-scale version of any object they want by patterning a polymer scaffold with a laser. Once that is settled, more usual or useful material is added to the scaffold before shrinking it to nearly 1000th of the original. This process is known as Implosion fabrication and it uses materials that are found possibly in every laboratory around the world, and even in children’s diapers. The need to develop this method comes from limitations of existing nanoscale fabrication technology. For instance, the method that uses etching structures onto a surface using light is good enough for 2D structures but obviously fails with 3D structures. For 3D nanostructures, researchers have to add layers upon layers of material in a slow and painstaking process. This process can also only result in self-supporting structures, like a pyramid but not like a hollow sphere. Additionally, the materials that can be used for such a method are limited to polymers and plastics, which do not possess the characteristics necessary for quite a lot of applications. Edward Boyden, the Y. Eva Tan Professor in Neurotechnology and an associate professor of biological engineering and of brain and cognitive sciences at MIT, along with his team decided to overcome these limitations using a method that was developed by his lab a few years ago. The technique is known as expansion microscopy and was used to develop high-resolution imaging of brain tissue. This technique involved embedding tissue into a hydrogel and expanding it before subjecting it to a regular microscope. Boyden and his students decided to reverse the process. What that means is – they embedded larger objects into already expanded hydrogel before shrinking it to the nanoscale, a.k.a implosion fabrication. Highly absorbent polyacrylate, commonly found in diapers, was used as the hydrogel scaffold material. This scaffold is then immersed in a fluorescein molecule solution. These molecules, when and where they’re activated with light, attach to the scaffold and act as anchors for other types of molecules that the researchers might add eventually. “It’s a bit like film photography — a latent image is formed by exposing a sensitive material in a gel to light. Then, you can develop that latent image into a real image by attaching another material, silver, afterwards. In this way implosion fabrication can create all sorts of structures, including gradients, unconnected structures, and multimaterial patterns,” says Daniel Oran, one of the two lead authors on the paper. The other senior author is Adam Marblestone, a Media Lab research affiliate. Now comes the actual shrinking part. Once the desired molecules have been attached to the intended locations, researchers add an acid to shrink the entire structure. The negative charges in the polyacrylate gel are blocked by the acid, removing their ability to repel each other which causes the gel to collapse and contract unto itself. This allows a 10-fold reduction in each dimension, resulting in a 1000-fold overall reduction. Overall, this process allows for better resolution than pre-existing methods, something that the researchers plan to improve even further. This process could democratise nanotechnology and provide scope for applications in robotics, optics, and many other fields. What this cannot do is build you an Ant-Man suit. Why not? Let’s get into the physics of that and see how many leaps of faith it takes us to rationalise the possibility of Pym-particles. Back in 2012, the verification of the long-predicted Higgs Boson answered a fundamental question of physics: why do different particles, such as electrons or protons, have different masses. The Higgs field can be thought of as an omnipresent fluid for all particles to move through. The viscosity of this fluid depends on the strength of the particle’s interactions with the Higgs field and gives the particle its mass. In the fictional Marvel universe, Dr Hank Pym had discovered something similar half a decade earlier. The Pym particle, Hank Pym’s discovery that possesses, or rather grants, the ability to shrink and grow, can be thought of as a consequence of a Pym field around us. It doesn’t need to be explained that this technology is quite impossible right now. However, it is interesting to explore why. Take the example of a person – it is impossible to make yourself larger or smaller. If you were to try and do it by modifying the number of atoms that make you up, there are a number of problems – Where would you store the removed atoms? Where would the additional atoms come from? How would you know how to arrange them? On the other hand, you could ponder about squeezing them closer together. Except for the fact that they are already in physical contact and the repulsive forces between electrons from neighbouring atoms are enough to keep them from getting any closer without the application of pressure that is typically found at places like the centre of the Earth. What you could try to do, somehow, is alter the constants that determine the size of atoms in your body. For instance, if Planck’s constant were to become 10 times smaller, the resulting average radius of all atoms affected would be reduced one hundred times. This would shrink a 6-foot tall person to 3/4th of an inch, small enough to be able to ride a carpenter ant. However, they’d retain the same mass, compressed into a very tiny volume, leading them to fall right through the floor. On the other hand, if the mass is also reduced by the same factor as the size, the density would remain constant and they wouldn’t fall through the floor. However, this leads to another problem – how would this Ant-Man pack a punch? The only way this is possible is if Ant-Man can willingly couple and decouple the Higgs Field and the Pym Field so that he can become his full weight at ant-size when he is packing a punch, and remain lightweight enough to ride a flying ant otherwise. How does he do that? Maybe check with him once he is out of the Quantum Realm in May.